My name is TraceyJoy and I am compelled to explore beyond the edges of who I’ve known myself to be. This has put me on a path of ongoing growth, healing and freedom. And, I love applying all I have learned to support others in having more of what they want in their life. In classes and individual sessions, I incorporate InterPlay and energetic healing practices to stimulate our innate powers of creativity, healing and loving. Once these are activated, new possibilities unfold. It is such a joy to witness the birth of new possibilities and the joy and freedom that arise. New perspectives lead to more options which lead to new outcomes in your life! I grew up in a family where it seemed that what I felt was not ok. I began to step into a box that was so small I let go of my own inner knowing and my own wisdom. I let go of what was yes and what was no for me. My adulthood has been a journey of reclaiming my own knowing. Along the way, I have discovered gifts and acquired skills to help others reclaim their wisdom and health. I believe the more of us who reclaim our unique gifts and inner authority the more our world will flourish and thrive. 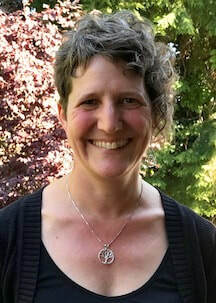 My work is an integration of my personal journey, training and experience in the following: Ethics Based Spiritual Healing, Interplay, Reconnective Therapy (RCT), Buddhist meditation and body based practices, Cranial Sacral Therapy, the Wallace Method, massage, Sat Nam Rasayan, Authentic Movement, and Kundalini Yoga.